Another "rest" day. We walked down to the shore near our hotel and found an old tower. 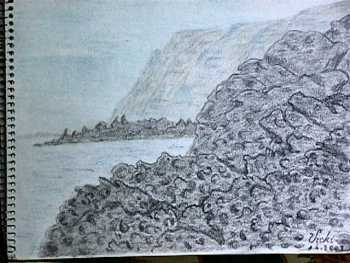 I sat and did a picture of the lava and cliffs while Bill walked around. That evening we sat on our balcony and looked at the stars - we could see Mercury, Saturn, and Jupiter and lots of stars. 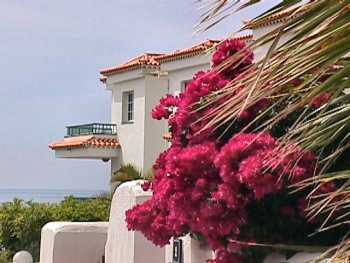 On our way down to the shore we passed this villa with gorgeous bouganvillia covering the surrounding wall. 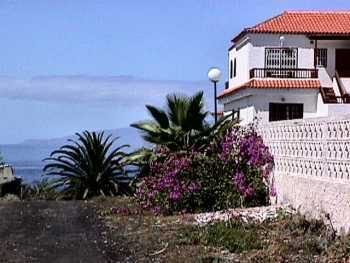 Another villa with a super view of the ocean and La Gomera. 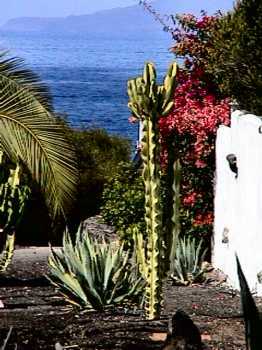 The garden beside the villa, with palms and cacti. This is my favourite villa. OK I like to dream. The only thing against it was the scary driveway from the main road down to the garage. Down at the seashore we found this old tower. 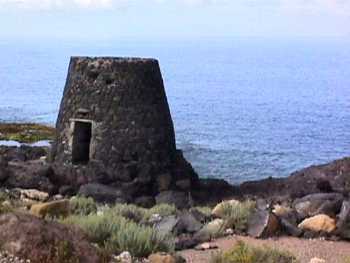 It was probably a watchtower - there used to be a lot of pirates and smuggling. 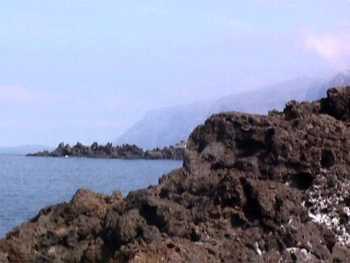 The lava seashore and Los Gigantes cliffs in the background. 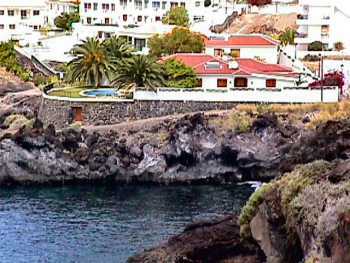 This is my picture of the lava shore and Los Gigantes cliffs. I was going to do another picture of just the cliffs without the lava foreground, but it was just too uncomfortable sitting on the lumpy lava. Maybe I'll do a picture someday from my photos.